1. Part of being a good parent is recognizing that by the time my seven year old is in college, the chances that I will be able to afford his tuition are slim to none. Therefore, my hope is that he excels either academically or athletically, so I am quite ridiculous about making sure my second grader gets good grades. I take an active role in his homework. Guiding, checking, erasing, etc. One thing I do each week is quiz him on his vocabulary. Here’s how it went this morning before the bus came. Looks like I need to start focusing on the athletics a bit more. 2. Beaver County is raising money for breast cancer by selling these shirts. 3. In his latest episode of Yinz Luv Da Stillers, Jim Shearer is giving away a giant Troy Polamalu FatHead! This episode includes an awesome Troysus video and a wonderful shout-out to Randy Pausch. 4. Geno shirtless on the cover of a magazine. It’s not as hot as you think it might be. I could take a kickassly hot shirtless picture of Geno. I just need the right camera, the right lighting, and the right brown paper bag. JUST. KIDDING. Don’t write me nasty emails, puck bunnies. 5. Speaking of the Pens. Tonight starts the new season. HOCKEY! MEANINGFUL HOCKEY! IN THE NEW ARENA! And Eric Tangradi will be playing. It looked like our bedroom comforter and a curtain had gotten into a fight, wrapped themselves around a hula hoop, and then threw up some glitter. 7. CMU’s Donut Dash is taking place on October 23rd. Run one mile. Eat 12 donuts. Run another mile. I bet you a million bucks that donuts don’t taste as delicious coming up as they do going down. But it’s for SICK KIDS! 9. 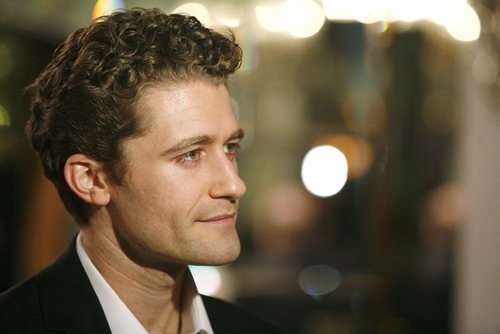 Glee’s wildly popular Matthew Morrison is stumping for Dan Onorato? Tom Corbett’s only hope is Edward SPARKLE SPARKLE Cullen. that photo of Geno is years old. I think I love Jim Shearer. Hahahaaaa re: brown paper bag! I love the Bat-Bat Cam!!!! So funny about your son. I envision having a similar conversation with my kindergartener at some point! 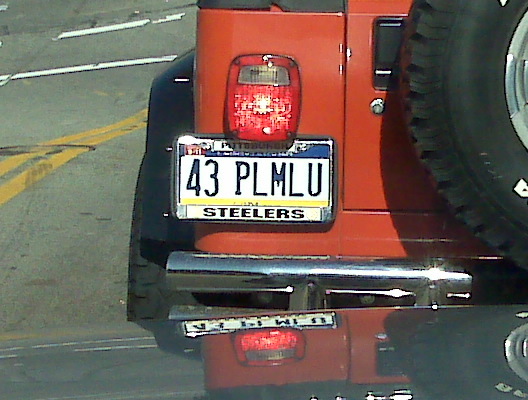 Every week after I get your Steeler update, I go to Jim Shearer’s Yinz luv da Stillers. They both start my week of right!! Why would Matt Morrison come to Pittsburgh to campaign- is he from the burgh? I fail to understand why you would vote for someone just because a celebrity asks you to. I know. 3 is more than one, no? I lol’ed soooo hard not at your comment about Geno, but at the authentic lack of hottness and obvious attempt to be hot. *sigh* I’m glad my Maxie looks hot as hell and a little roughed up tonight. Can’t see MAF’s face until he does his hot, hair in face, BIG smile interview post-game. BTW, down by one right now in that game and it angers me. And I am a fan of Mr. Lizzy McGuire…he’s playing hard and putting some shots on! I think it’s a sign of a rapidly deteriorating campaign when the best you can come up with is having Mr. Shue stump for you. Not that I don’t lurrrv me some Mr. Shue. I just don’t love him enough to vote for Dan “Drink Tax” Onorato. Yup, still bitter about it, especially since that money is not being used! Now if he had brought Sue Sylvester…I might reconsider. I’m at Hamburg Hall now waiting for the Matthew Morrison to arrive. I’m hiding in the shadows with my laptop trying not to look like a 40 year old CMU dork. Front row seat scored from the asst. director of gov. relations! BooYa!